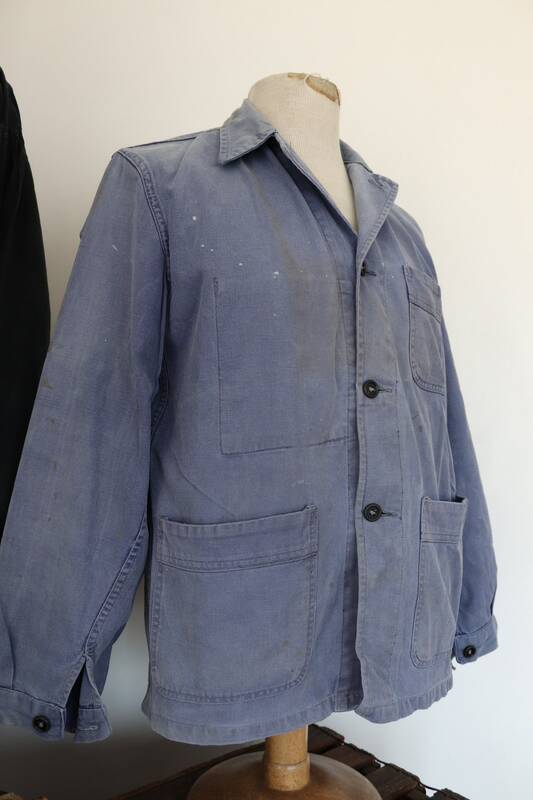 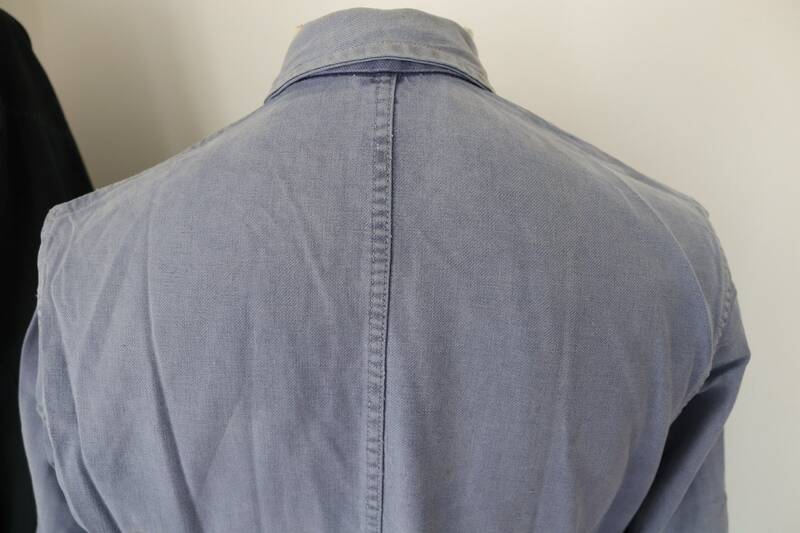 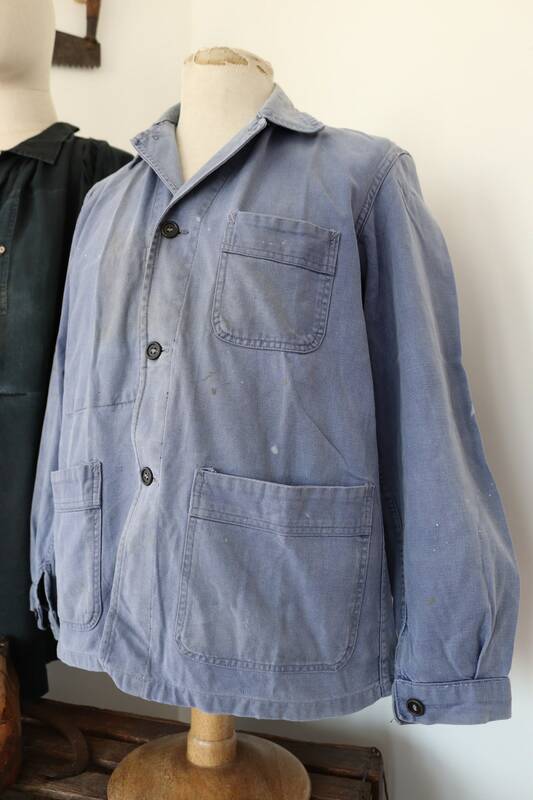 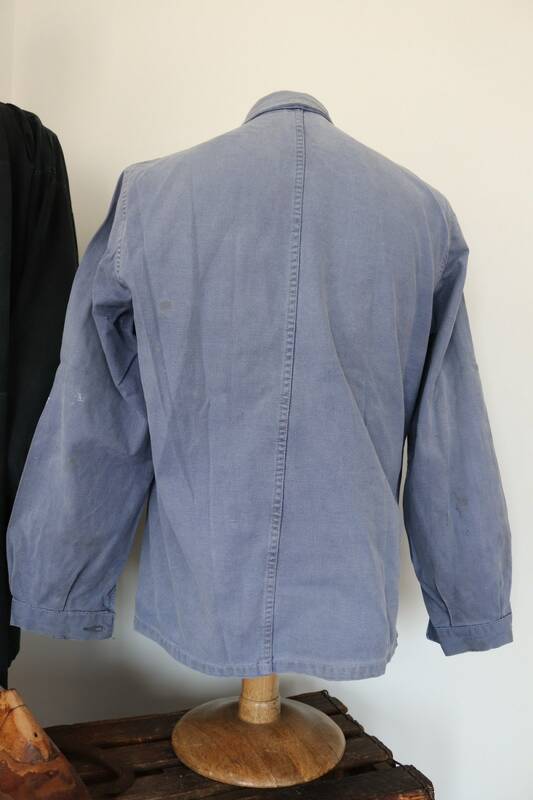 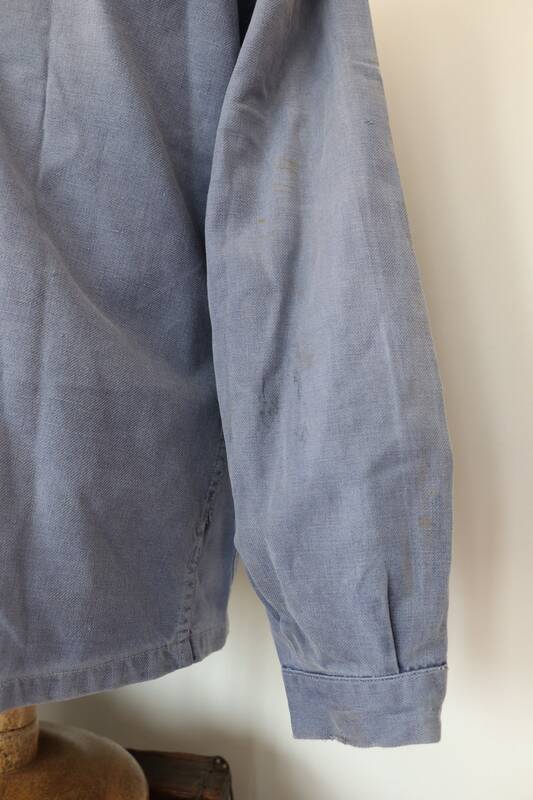 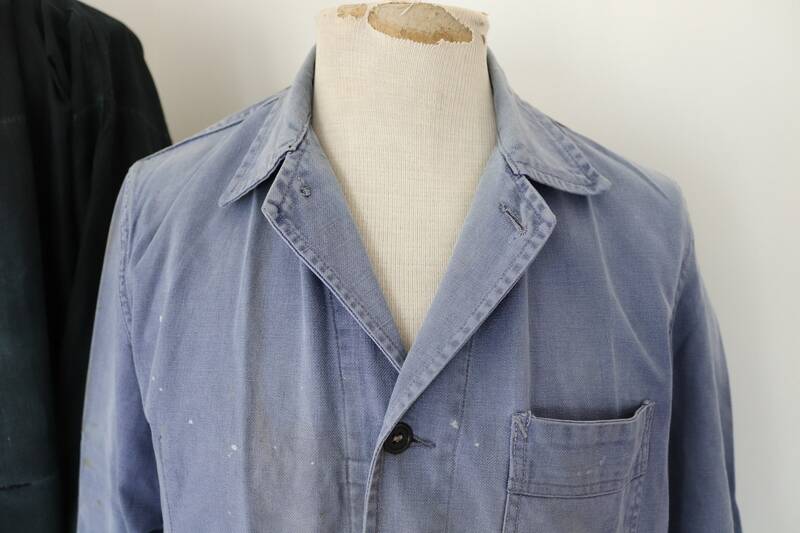 A thick cotton twill French work jacket dating from the 1950s. 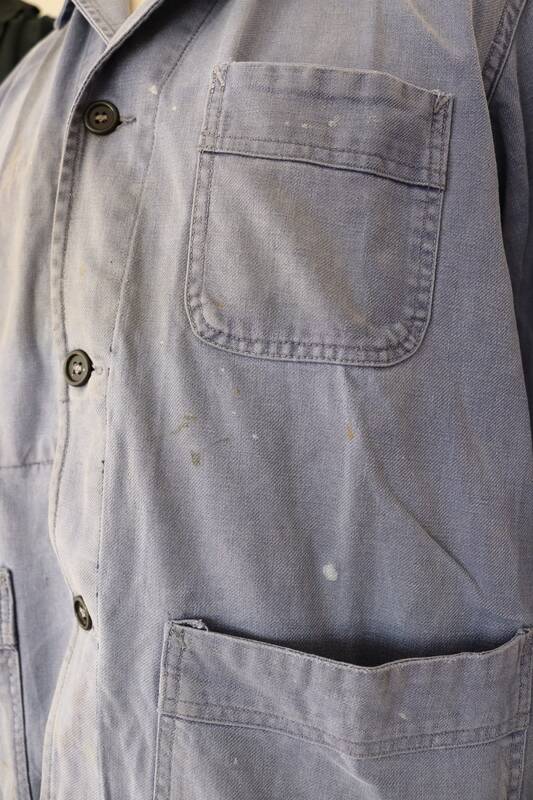 Noted flaws - small marks throughout - please see photos. 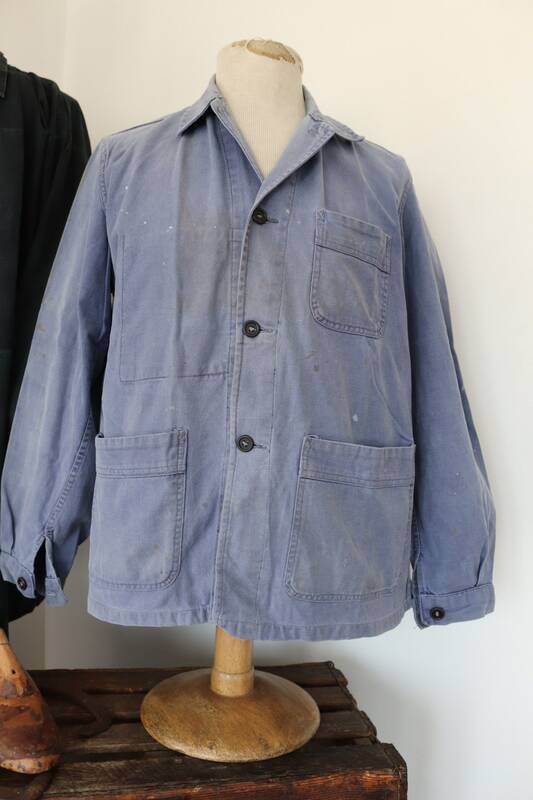 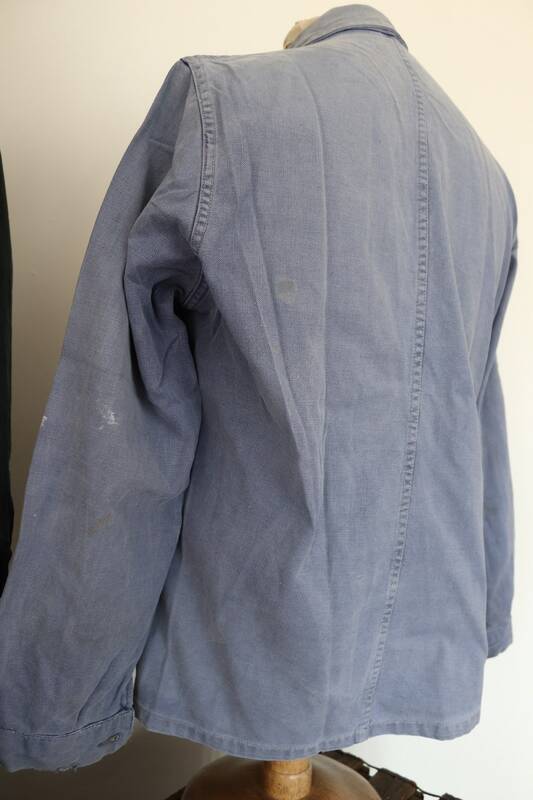 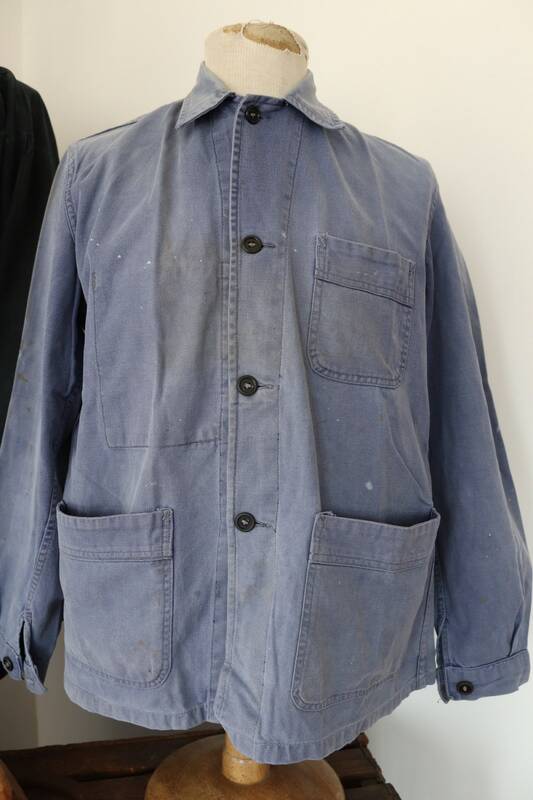 Older cotton twill jacket, two hand pockets, single chest pocket, full set of buttons, classic French workwear.